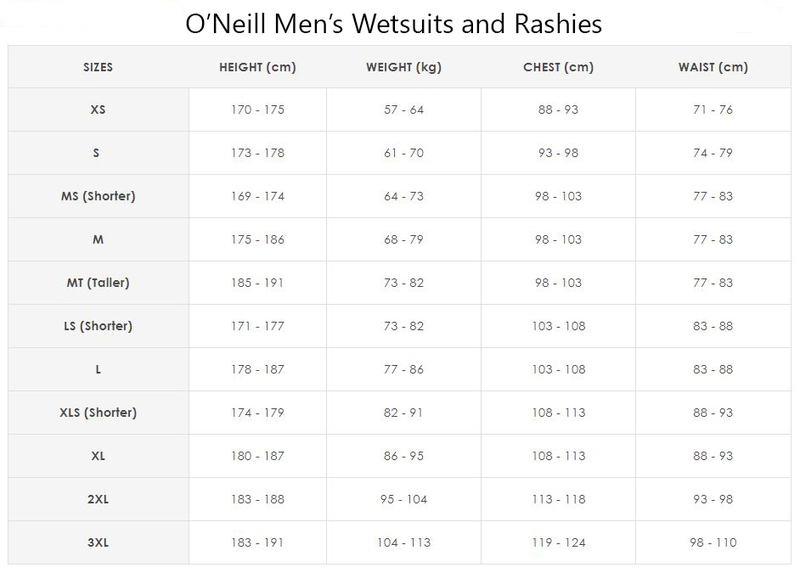 Oneill Mens Original 2mm Full Zip Neoprene Top features long sleeves with smooth-skin coated torso panels. Oneill's Ultraflex DS neoprene offers great stretch but the standout element of this garment is the stretch factor of the smooth-skin. Furthermore, the glued seams and light-weight zip setting make this garment reminiscent of days gone by but with the performance we've come to expect from top-tier surfing rubber. Typically these 'coated' linings are heavy and lack stretch but this does not ring true in the Oneill Mens Original 2mm Full Zip Neoprene Top. You'll note there's no smooth-skin around the shoulders and underarms, this is to give you the most flexibility while paddling. To get the most out of your Oneill Mens Original 2mm Full Zip Neoprene Top we recommend washing it with Wetsuit Wash & reading our maintenance guide.